Travel through some of the highest motorable mountain passes in the world by booking our Leh Ladakh road trip tour package. 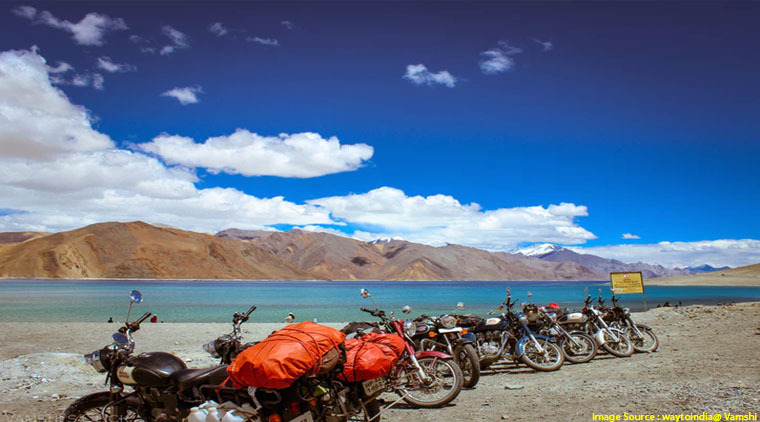 Enjoy the journey of a lifetime through the hauntingly scenic landscapes of Leh Ladakh. Leh Ladakh is a name that finds a mention in almost every traveler’s list. 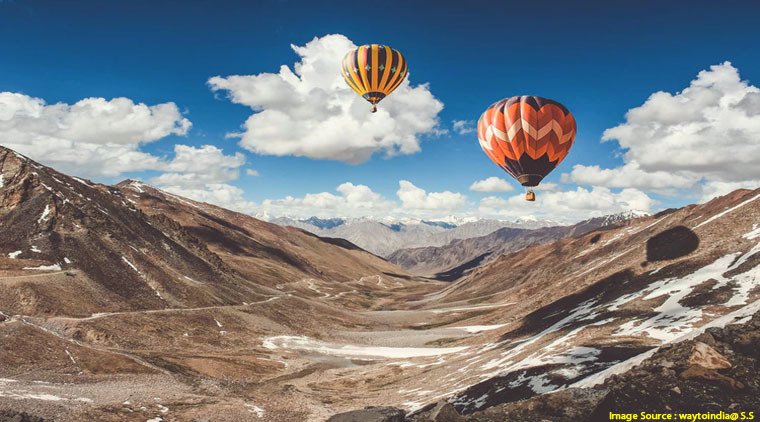 Be it the serene landscapes of barren mountains for miles at a stretch, the vibrant Tibetan prayer flags fluttering in the winds or the numerous valleys and monasteries, Leh Ladakh never fails to meet the tourists’ expectations. 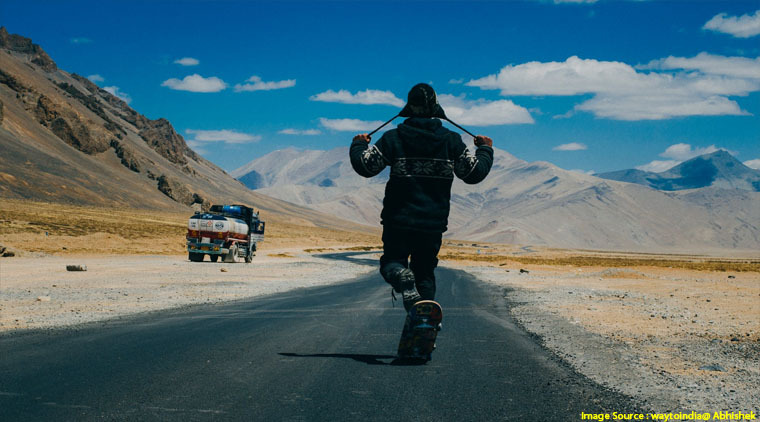 Our Leh Ladakh road trip akes you on a joy ride that covers some of these exceptionally wonderful and panoramic locations promising an unmatchable experience. 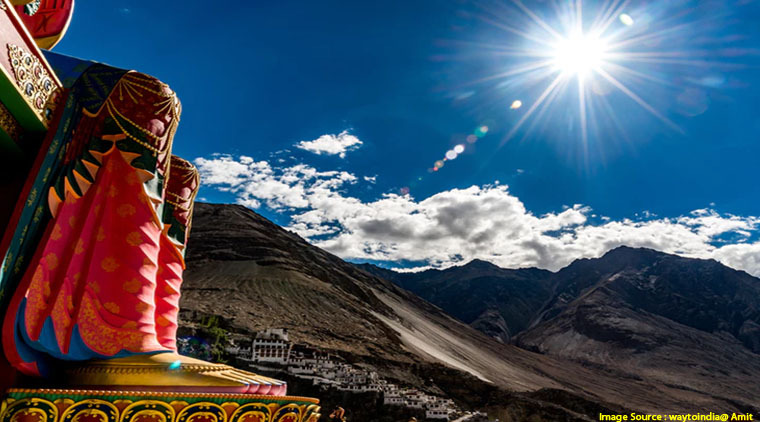 Being thousands of meters above the sea level, Leh Ladakh is considered synonymous with heaven. To know more about the details of the itinerary, have a look at our Leh Ladakh road trip tour package. Feel free to get in touch with us for any inquiries or booking the trip. Welcome to Srinagar! Upon your arrival, drive to Sonmarg. The drive takes approximately 2.5 hours by road. The drive to Sonmarg on your Leh Ladakh road trip tour package is through the Sindh Valley which is a masterpiece in itself. On your way, you will pass through the small towns of Ganderbal, Kangan, and Gund. Admire the endless fields of rice paddies and postcard-worthy hamlets as you drive through. On reaching Sonmarg, check into the hotel and settle in. The rest of the day is at leisure and you can spend the day sightseeing or stroll amidst the green valleys and golden meadows of this beautiful town. After a mouth-watering breakfast, check out of the hotel and get ready for an exciting day ahead. 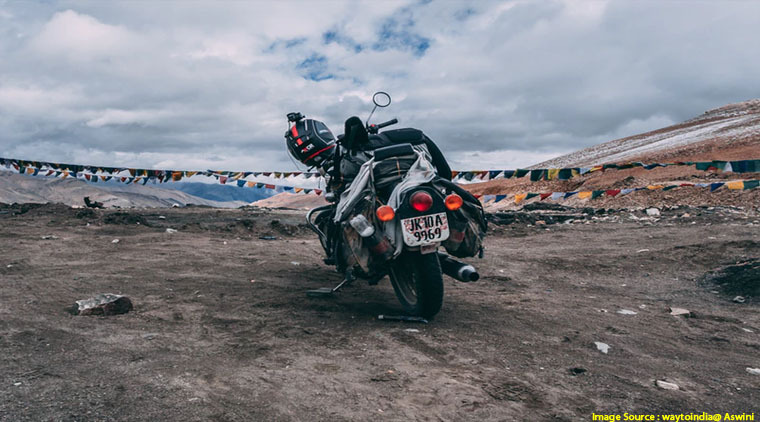 On day 2 of your Leh Ladakh road trip, there are halts at Zojila Pass (located 3,900 meters above sea level) and Drass Village, which is the second coldest inhabited place in the world after Siberia in Russia. You can also admire the marvelous views of the Kargil’s famous peaks, Tiger Hill and The Tololing Peak, from the Kargil War memorial which was constructed by the Indian Army to commemorate the soldiers and officers of the army who sacrificed their lives in the Kargil War. Arrive at Kargil in the evening and check into the hotel. Post a scrumptious breakfast, check out of the hotel and get ready for a fun-filled day ahead. On Day 3 of your Leh Ladakh road trip , visit the Mulbekh village to appreciate the ancient rock-cut statue of Maitreya Buddha. Then, make a pit-stop at Lamayuru monastery which is well-known for its novel landscape that resembles the landscape of moon. Post that, you can make brief stops at Alchi, Likir Monastery and the Magnetic Hill. Don't forget to pay obeisance to Pathar Sahib Gurudwara which was created in the memory of the founder of the Sikh religion – Guru Nanak Dev Ji. Arrive at Leh in the evening and check into the hotel. Visit the Hall of Fame Museum which is a war memorial constructed by the Indian Army to honor the soldiers who lost their lives in the Indo-Pak wars. Later, return to the hotel for your overnight stay. Start your day with an early breakfast and check out of the hotel to drive towards Pangong Lake on your Leh Ladakh road trip. Pangong Lake is about 5 kilometers wide at its broadest point and is placed at an altitude of 4,400 meters. The lake runs a total length of 134 kilometers and finds its place in India as well as China. This lake was quite the revelation ever since it featured in the Bollywood movie ‘3 Idiots’. Surreal surroundings make the lakeside an ideal place for a campsite. Enjoy your lunch and then spend a peaceful time at the lakeside admiring the breath-taking surroundings and the color-changing lake against the backdrop of the sun. Enjoy your overnight stay at the campsite. Start your fifth day of road trip to Ladakh by car with a yummy breakfast and an equally stunning view of the rising sun on the Pangong Lake. Post that, drive back towards Leh via the Chang La Pass. En-route make a short pit stop at Hemis Monastery which is one of the most famous monasteries and tourist attractions in Ladakh tucked on a mountain on Indus river’s west bank. Continue your journey and next, visit the Thiksey Monastery which features a 12-storey Gompa housing 10 temples and an assembly hall and the Shey Palace which is a royal palace located at the top of the hills. Make your way to Leh and check in at the hotel for a peaceful overnight stay. Begin Day 6 of your road trip to Ladakh by car with a healthy breakfast and set out for a drive to reach Nubra Valley via Khardung La. The Khardung La pass is at an altitude of 18,390 feet and is one of the highest motorable passes offering some awe-inspiring views. Admire the jaw-dropping surroundings as you drive and set your campsite once you reach the valley. After that, continue your sightseeing and reach Hunder by the afternoon. It offers silvery sand dunes for the tourists to enjoy an adventurous camel safari ride. Later, visit the villages of Diskit and Hunder and observe the lives of the natives from close quarters.Not just that, you can enjoy a relaxing time at its multiple hot springs and connect with your spiritual self at its monasteries. Head back to Nubra Valley to enjoy your overnight stay at the campsite. After a delicious breakfast, get ready for a eventful day ahead on Day 7 of your Leh Ladakh road trip. Today you would be taking the road less travelled to visit India’s northernmost village, Turtuk. This beautiful gem of a place is special because of its seclusion and the solitude it offers. It is truly a magical elope with no internet connections that let you take the much-needed break from the chaos of ‘being connected’. Head back to Hunder to enjoy your overnight stay at the camp. On day 8 of your Leh Ladakh road trip, wake up to a magnificent view of the morning sun at the campsite and enjoy your breakfast.Post that, set out to drive back to Leh via the same route you came from. On your way back to Leh, visit the Diskit Monastery. The main attraction of this monastery is the gigantic statue of Lord Buddha on top of it. This monastery sees a lot of tourists from all over as it offers panoramic views because of its location at the top of the hill where the statue is installed. Drive back to Leh by crossing the Khardung La Pass while admiring the spectacular sceneries as you go. Reach Leh and check into the hotel for your overnight stay. 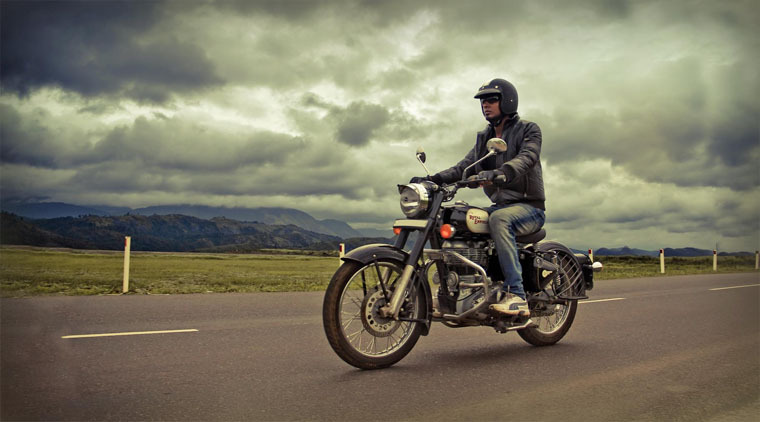 This will be the last day of your road trip to Ladakh by car as the vacation comes to an end. Transfer to the airport to take your flight back home. The Srinagar Leh Highway remains closed because of extreme temperatures and heavy snowfall in the region for around 6 months in a year from November to May. It usually becomes operative by mid-May or the first week of June making the best time to travel between the months of June and October. Diamox – assists in the acclimatization process by helping the body breathe faster. Aspirin / Disprin – helps your blood to carry more oxygen to your body. Vodafone network and prepaid numbers from outside Jammu and Kashmir do not work anywhere in Leh Ladakh. ATMs can be found at Ganderbal, Drass, Kargil, and Sasapol. It is advised that you carry some cash with you at all times. Medical facilities are available at Sonmarg and Kargil whereas only limited medical facilities are available at Drass Village and Lamayuru. There are mechanic shops available at Ganderbal, Sonmarg, Kargil, and only to treat puncture at Lamayuru, Mulbekh and Nimmu. It is suggested that you carry a basic toolkit that has a screwdriver set, a few bottles of petrol, iron rod, a small hammer and a puncture repair kit to avoid getting stranded.